"You Decide and We will Bring it to Life"
much more. Choose one of our amazing packages or build your own! as bonding the team with our experience and attention to detail. ideas on how clients conceptualize their BIG DAY. everyone to enjoy the day. our team will do all the rest. We create memorable experiences with something for everyone. These events allow people to bond in a friendly, fun, family setting. and execute the perfect Family or Staff Day Event. ’round for a party and talk about the reason for all of it. 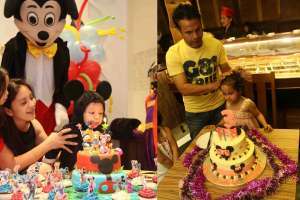 Ilovepartyevents is a professional company in making your birthdays, private parties, corporate events, wedding, baptismal, graduation, baby shower, gala dinner and any special occasions based in UAE. 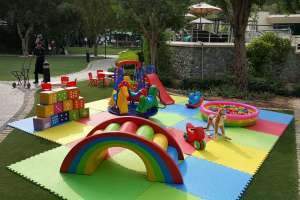 Our aim is to provide you, our customer, with the best resources needed to create astounding and memorable parties/events. 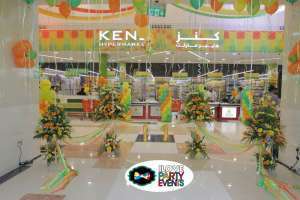 Along with our passion and dedication we provide event planning and management for all your events needs. 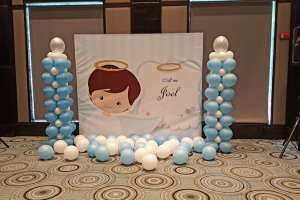 Babies, Toddlers, Children, Teens and Adults all birthday parties can be customized to your desire and incorporating all your chosen elements such as: Entertainment, Decorations, Souvenirs and so much more. Choose one of our amazing packages or build your own! Great corporate events to help a business to establish its position within an industry and strengthen its reputation and credibility as well as bonding the team with our experience and attention to detail. We are a group of artist filled with ardor of giving fresh inputs and ideas on how clients conceptualize their BIG DAY. Baby and Bridal showers can be as casual or as extravagant as you desire. We can plan the special day on behalf of the mother or the host and will take care of all the elements, so all that is left is for everyone to enjoy the day. First impressions are everything. Launching a new business a grand opening event provokes excitement, curiosity and a sense of community. From idea to operation to afterglow our team will do all the rest. 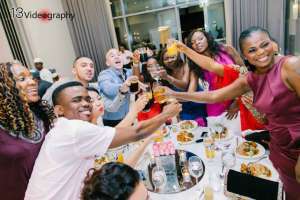 It’s the end of a long journey and the beginning of another, and you want to make sure your loved one’s Prom and Graduation night is fun, exciting and original. After all, this is the night that spells change and newness, whether it’s the perfect prom or graduating from school at any level, an accomplishment. We create memorable experiences with something for everyone. These events allow people to bond in a friendly, fun, family setting. We can help you set goals, venue source, provide vendors, schedule and execute the perfect Family or Staff Day Event. Deciding to have your child christened or baptized is a reason to praise and celebrate! It’s a time to invite family and friends to gather ’round for a party and talk about the reason for all of it. From start to finish our team will be there to make you’re special moment memorable. 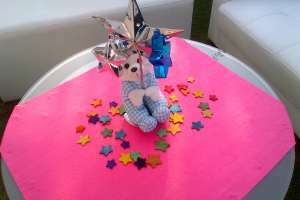 It was indeed a magical birthday party for my daughter’s 1st birthday. Ilovepartyevents surpassed our expectations. Upon arriving on the venue, all of our guests literally said “WOW” because they really transformed the venue. It was a stress-free event for me and my husband because ilovepartyevents did everything we want and they did it more than what we told them. The team were all very friendly and fun to work with. We will definitely be recommending them to others and work with them again given the chance. God bless the team! Ilovepartyevents always cater to whatever you need, whether its for a hug well known company events to the smallest birthday parties with the same level of efforts, professionalism and dedication. Not only that they made Venice’s 1st Birthday party beautiful and memorable but also i got the chance to enjoy the party without stressing myself. I was able to savour the day! Thanks to the lovely tandem of JM and Len!! Till our next event!! ILovePartyEvents © 2018 All rights reserved.